The BTU-150 turns on automatically when clipped on the headstock, and switches off when you remove it. When your instrument is in tune, the backlit turns GREEN. When it is sharp, the backlit turns RED, when it's flat the display will turn ORANGE. 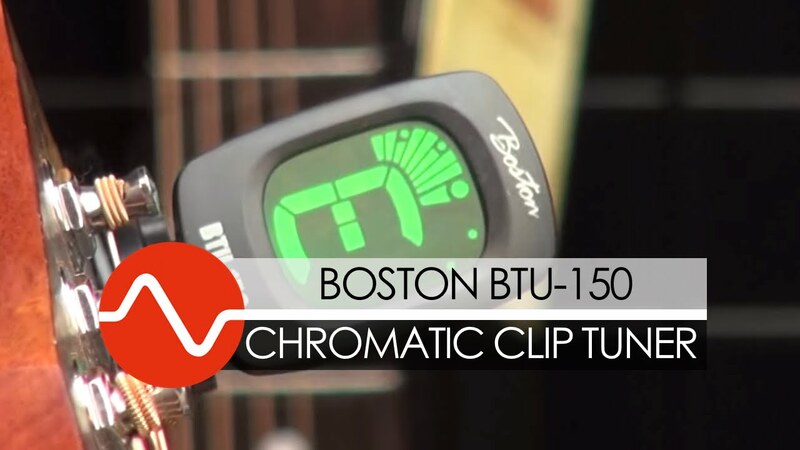 The BTU-150 tuner will switch off automatically when not used for 5 minutes. Built-in piezo sensor for accurate tuning.